We have released our website! We are happy to announce the launch of our website! 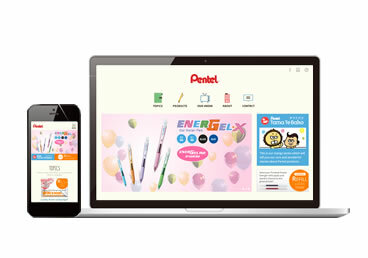 The new Pentel Singapore website is packed with useful information about our wide variety of products, latest news and links to other media such as Facebook, Instagram and Tamatebako manga. If you have any questions, send them our way via the contact form. From now on, we will keep this new website as a platform to communicate with consumers with latest information and announcements. So now, which contents are you checking first?